Explanation: Galaxies don't normally look like this. 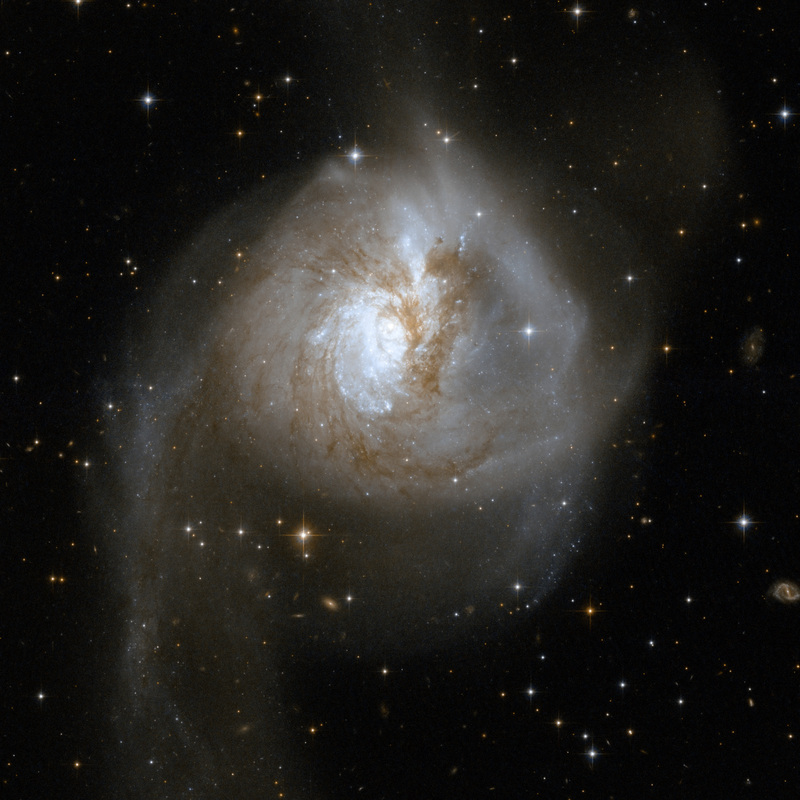 NGC 3256 actually shows a current picture of two galaxies that are slowly colliding. Quite possibly, in hundreds of millions of years, only one galaxy will remain. Today, however, NGC 3256 shows intricate filaments of dark dust, unusual tidal tails of stars, and a peculiar center that contains two distinct nuclei. Although it is likely that no stars in the two galaxies will directly collide, the gas, dust, and ambient magnetic fields do interact directly. NGC 3256, part of the vast Hydra-Centaurus supercluster of galaxies, spans over 100 thousand light-years across and is located about 100 million light-years away.